Shambaugh & Son (Shambaugh) has completed extensive work for the dairy processing industry, including large-scale plant design and construction as well as small, more modest installation projects. 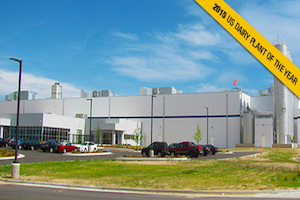 Shambaugh has provided Design-Build services for many award-winning dairy processing plants. 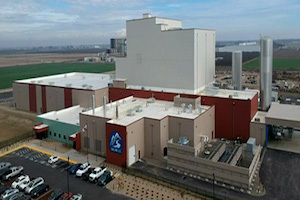 On multiple occasions, facilities designed by Shambaugh have won US Dairy Plant of the Year, including in 2015, when Kroger Mountain View Foods was selected for the award thanks to the plant’s advanced material handling technology. 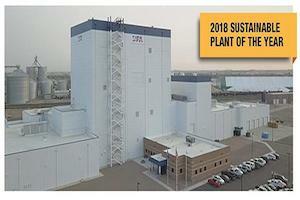 Most recently, in 2018, Shambaugh designed and built Dairy Farmers of America’s Garden City plant, which Food Engineering magazine named the “Sustainable Plant of the Year” in recognition of the plant’s outstanding sustainable engineering features. Shambaugh focuses on providing clients with facilities that offer innovative value, such as cutting-edge water recycling systems, 24-hour process capabilities, and material-handling design for increased process flow. Additionally, in-house prefabrication capabilities help Shambaugh meet fast-track construction deadlines and complete expansions while minimizing disturbances to a plant’s regular production process. 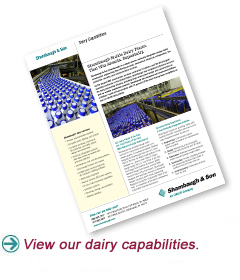 For further information on Shambaugh’s dairy design-build services, contact us today.